Let's just all admit it, shall we? We do want to try them in a boat, with a goat, in a house, with a mouse... and so on and so forth! And no, we're not off our rockers mad either. Because this is truly the tastiest combination to hit your breakfast plate since Canadian bacon met the English muffin. We're talking about Green Eggs and Ham. Oh, come on. Do you honestly doubt the wisdom of Sam-I-Am? Halve the avocado and remove the seed. Widen the hole in the center so that it's large enough to snugly fit a hard-boiled egg. 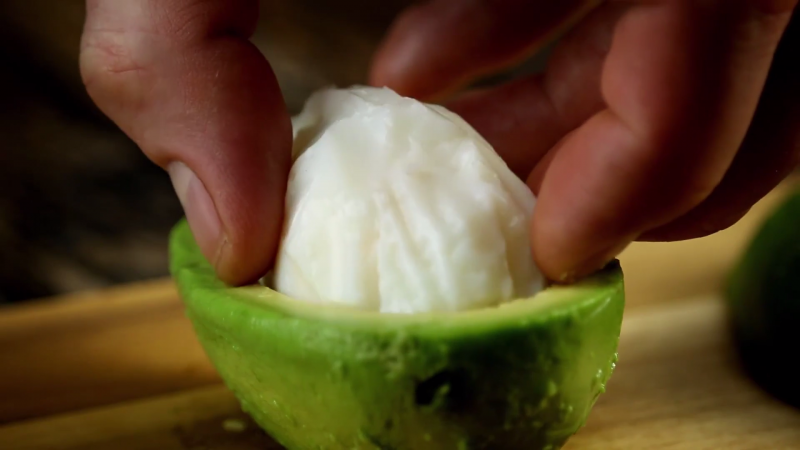 Then carefully remove the rind from the avocado with a spoon. The egg should be poached. 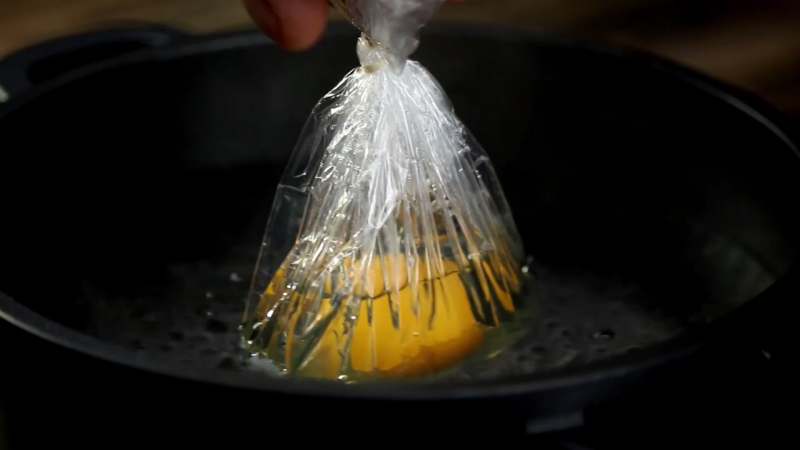 The best method is to spread a sheet of cling film over a small bowl and crack open the egg over the film, being careful not to break the yolk. Draw the cling film together and close with a twisty tie or a bag clip. Cook the cling film baggie in simmering water for 5 minutes. You should end up with a shape that perfectly fits the avocado. 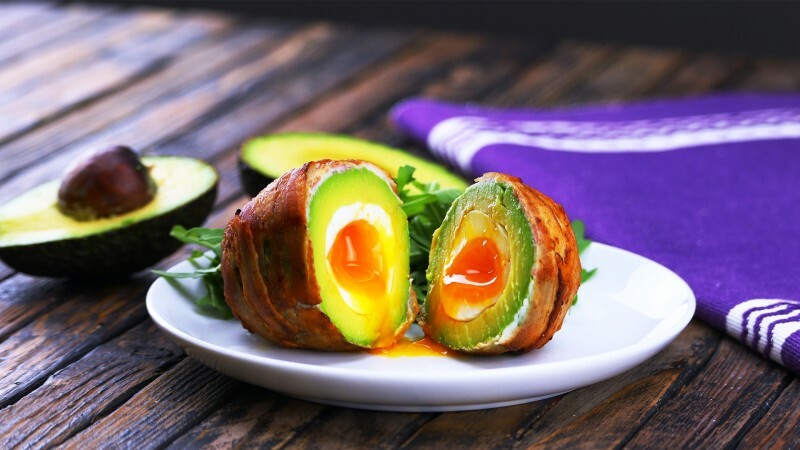 Carefully peel the poached egg and place it in one half of the avocado, then cover it with the other half. 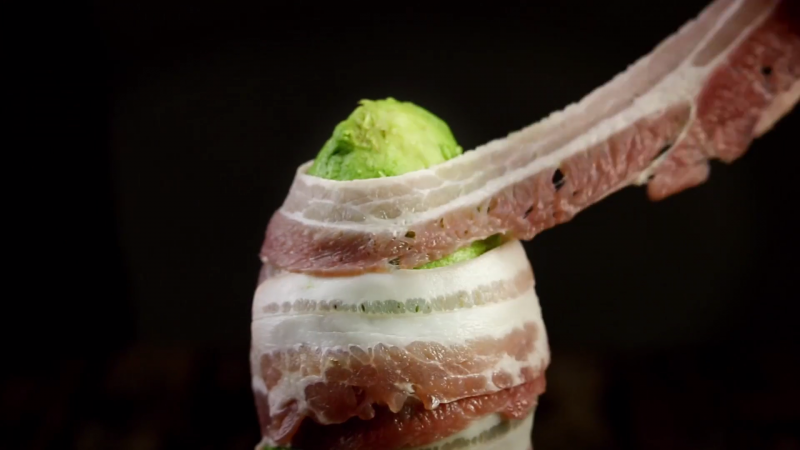 Now wrap the two halves together with slices of bacon, fully covering the exposed avocado flesh. 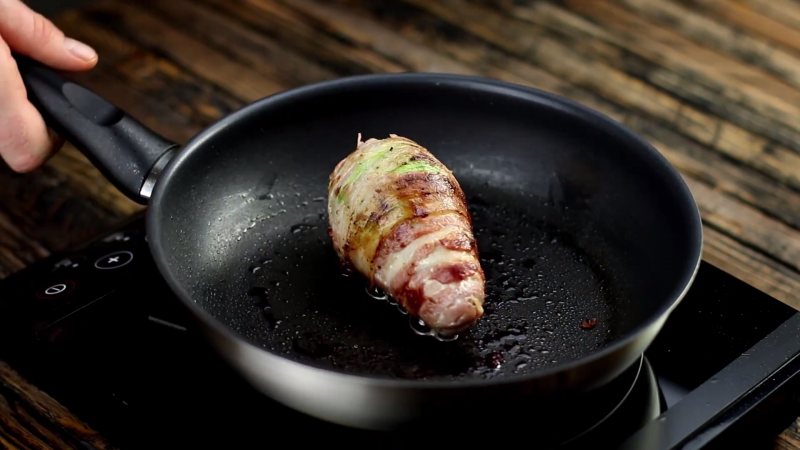 Now brown the bacon on all sides in a frying pan with just a touch of oil to keep it from sticking. Your Green Egg & Ham is now ready to be served! 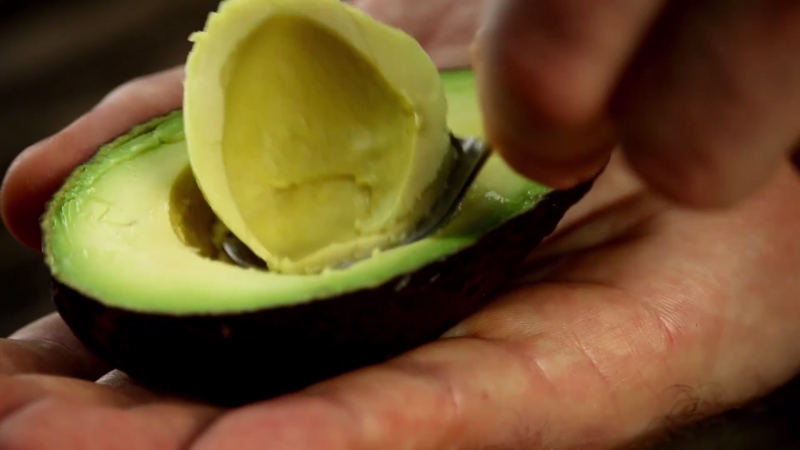 If you've got kids at home, this might be the perfect way to get them to try some avocado. What better persuasive text could you ask for than Dr. Seuss himself? And if there are no kids to eat these Green Eggs and Ham with, you could always enjoy them with a fox... in a box!